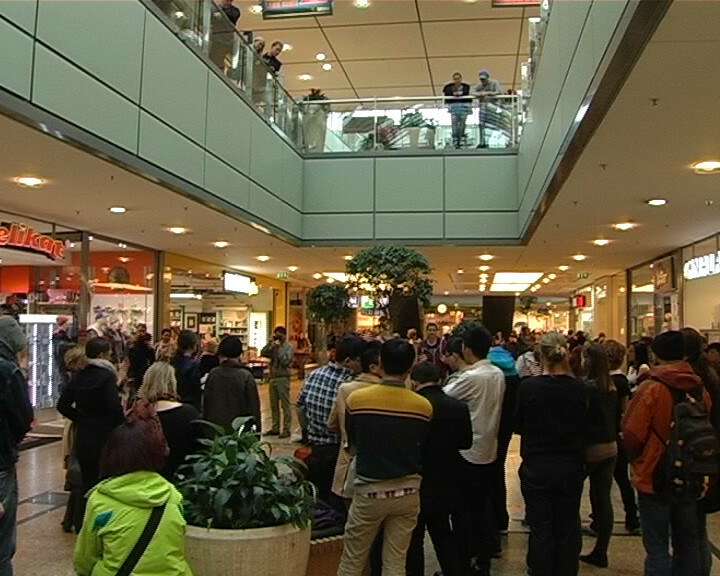 The following movie shows the final performance of the German workshop of “Equal in the streets” which took place in a mall in Magdeburg. The theatre group developed two performances about gender inequality during the workshop. One is about a girl who does not like to wear skirts nor to shave her legs. Her younger sister tries to convince her to do so and their mother does not have any understanding at all why one daughter refuses to behave in a way that some people might say it is appropriate in society. The father just reads his newspaper and does not care about the conflict. The other performance is about a young mother who is working in a successful business. During a presentation she gets a call from the kindergarten and she has to pick up her sick child. Her boss threatens her with dismissal if she leaves. The secretary of the boss just cares about his own job and the colleague of the young mother is not a big help either. With which ideas will the audience come up to solve those conflicts? Just have a look!